Routine fuel delivery is the first step to preparing your generators for a mission critical situation. When you sign up for routine fuel delivery, we start you on an automatic fill program. Meaning, you never have to remember to call, and we will always keep your tanks full. Below are several features that our routine fuel delivery customers appreciate. No matter where you are, whether in the United States or international, we are fully equipped to provide you with prompt, reliable delivery of all the generator fuel you need for your business. Foster Fuels markets approximately 50 million gallons of high quality fuel annually from its headquarters in southern Virginia. We utilize our large, company-owned fleet and national network of strategic partners to deliver fuel reliably time after time. We have thousands of trucking assets available to satisfy any size fueling need anywhere in the continental United States. At Foster Fuels, we know our customers depend upon us. That’s why every routine fuel delivery customer is a top priority — no matter the industry or location — whether you have a large corporation or a local retail store. Your fuel order is important to us, and we show it with the way we handle every service and delivery. Prompt and courteous delivery of high quality fuel is the core of our business. To provide reliable and speedy delivery, we maintain relationships with several major suppliers. Our state-of-the-art storage and loading facility at our Virginia headquarters, which holds approximately 400,000 gallons of fuel, allows for fast and accurate loading to our regular customers. Plus, we can load unbranded products from over one thousand supply points throughout the United States. Overall, our quality control plan ensures the best fuel and service for our customers. Safety and industry compliance are top priorities at Foster Fuels where our safety director ensures that all of our employees are qualified and all of our equipment is cutting edge. These priorities make us a great partner for organizations that are looking for business continuity support. If you have a generator for your business, it’s crucial to be sure you have the fuel you need in an emergency situation. That’s why you’ll want to partner with Foster Fuels. When you sign up for our routine fuel delivery for a business generator, you don’t just get corporate routine fuel delivery — you also get peace of mind. When you partner with Foster Fuels, you won’t have to worry about fuel again. With routine fuel delivery, we ensure your tanks are always at the required level, thus eliminating the chance for power outage and downtime. At Foster Fuels Mission Critical, we are there for you in even the most severe emergency situations. Organizations rely on us to provide routine fuel delivery. We have supported government contractors, wholesale businesses, transportation companies and more. Downtime can be an extremely costly issue for any company. If your business is dependent upon a continuous flow of power, even a few minutes without it can cost you hundreds or even thousands of dollars. In locations like healthcare centers or data centers, quite literally people’s lives or livelihoods could be at stake. If your business or the people you serve are dependent upon the services you offer, you need to be able to ensure you can provide for them even in times of crisis and power loss. That is why you have a corporate backup generator. But that backup generator isn’t going to do you any good if you don’t have a tank full of dependable, clean fuel to power it. When your business routine fuel delivery is anything but routine, you can call Foster Fuels. We are the trusted resource for companies that absolutely cannot afford to run out of fuel in an emergency situation, including routine fuel delivery for data centers and power companies. 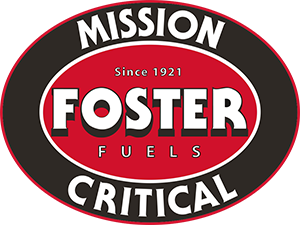 Contact Foster Fuels Mission Critical for more information on routine fuel delivery. We can provide a free custom quote specific to you and your business.